BASIC Hydrology offers a wide discussion on hydrology. The text contains the combined application of BASIC programming and engineering discipline along with various related studies, facts, and guidelines. 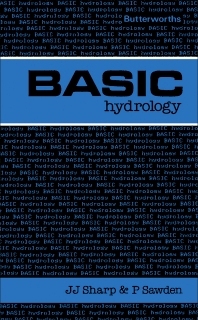 In Chapter 1, the book focuses on defining BASIC hydrology and discussing what kind of a programming language BASIC is. The chapter’s introduction notes that BASIC stands for Beginners All-purpose Symbolic Instruction Code. In Chapter 2, the book highlights the elements of hydrology and presents a table containing information on the world distribution of water. The next couple of chapters discuss precipitation, evaporation, and its relevant subtopics; these chapters also include tables, figures, and math formulas. Chapter 5 widely talks about frequency and provides the topic’s definition, related math formulas, and illustrations. In the three remaining chapters, the book discusses the stream flow, the unit of hydrology, and the supply and demand of water. These topics also include explanations, math formulas, and illustrations. The book serves as a valuable reference for undergraduates or postgraduates of engineering, chemistry, physics, and other relevant courses.